Hold onto your butts... a massive tear in the fabric of time must have occurred as the release date, cover & track listing have finally been confirmed for the Doctor Who: Series 9 Soundtrack! Limited Edition only - includes additional booklet with Stuart Manning poster images and slipcase. This edition will be generally available on other sites but is limited in number. The Standard Edition is the same as the Limited Edition but does not include the slipcase or additional booklet. Premiering in September 2015, the ninth series of Doctor Who featured Peter Capaldi in the title role in his sophomore season as television’s favourite time traveller. 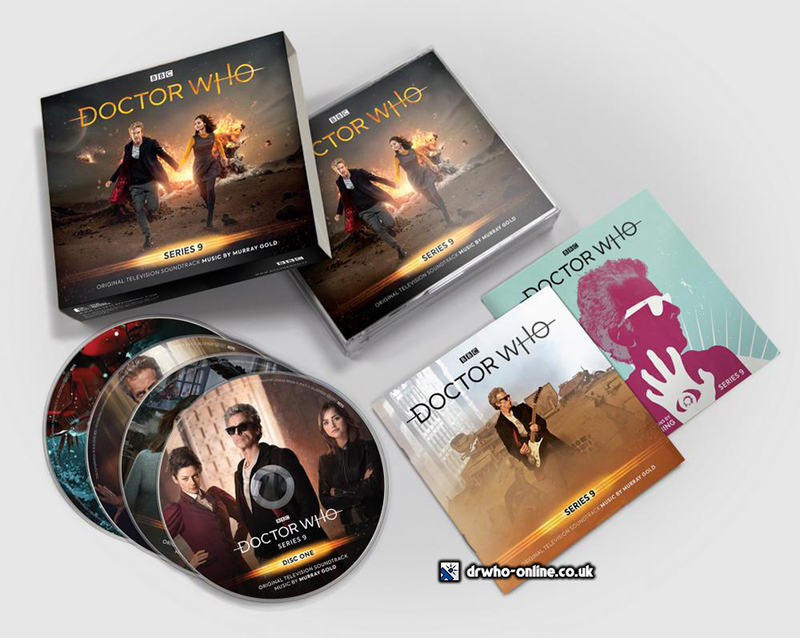 This all encompassing four part collection features general cues on discs one and two, the complete score from the episode Heaven Sent on disc three and on disc four the Christmas Special, The Husbands Of River Song. Five time BAFTA nominee Murray Gold recently confirmed that he is stepping down from composer duties on the show after 12 years of providing some of the finest music to be heard on contemporary television. This is also the 12th Silva Screen release of his music from the 2005 revival onwards and underlines the breadth of Gold’s composing skill across over two and a half hours of music. + The Doctor Who: Series 9 Soundtrack is released on 27th April, priced £14.99. + PREORDER this title from Silva Screen Records. + Discuss all the Doctor Who Audio releases in the DWO Forums.